I just finished on being a part of a creative exchange. My partner, Brooke from Covered In Grace blog, sent me a fabulous craft kit to use for some of my craft projects. She sent me felt along with some other items that I can use for the felt projects. I am so excited. So, for Pinterest Monday, we will focus on what can be made from felt. You can find the post of my felt gift from her over at Covered In Grace and be sure to check out the rest of her blog. 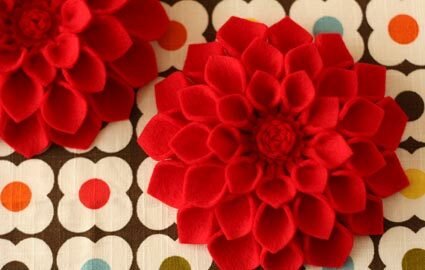 These felt dahlias are simple and neat looking. I think these would look cute for a little girl's head band. Here is another felt tutorials on making felt flowers for babies. This is a must have! 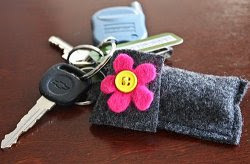 I always have to have chapstick close by and this felt chapstick holder key fob is perfect! I can't wait to start making some stuff with my new felt stash! I will share my completed projects soon, so be sure to check back. 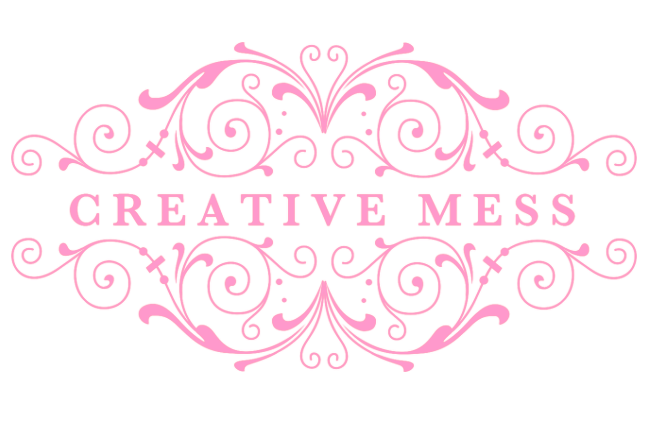 Be sure to stop on by to my creative exchange partner Brooke over at Covered In Grace. You can also see the post Creative Exchange 2013 to view my exchange gift to Brooke. Popping by from the Anything & Everything Blog Hop! I love the idea of the felt lip gloss holder. That dahlia looks sooo neat! How cute is that? I've always wanted to do some felt work, I heard it was so easy, but this, my dear, got my juices flowing and I really wanna make the flowers! thanks for sharing! Also congrats on your Liebster Nomination! Those flowers are pretty--the chapstick holders so practical! Happy Friendship Friday! Cute stuff. I love felt crafts! This is perfect! I couldn't get the felt headbands to pin properly, but I've got you followed on Google & Networked Blogs now, so hopefully I'll be able to find my way back during a free moment (haha) and make one of these. I have a 4 month old daughter and she would look sooo cute with one of these! Maybe I'll make this a weekend project and then send you a pic with the results! I found your blog through the Aloha Friday blog hop by the way! I would love it if you came and took a peek at my site as well! New follower via GFC from Let's Get Social Sunday. Love your felt post! I am loving that chapstick key fob! I've seen crocheted and love those, but I don't crochet, so this felt option is pretty cool.